What is the best single scull for coastal rowing competitions? 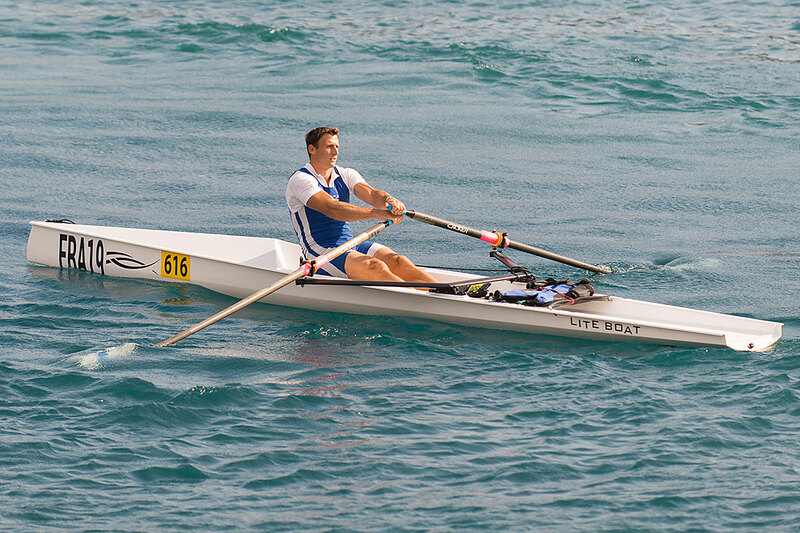 The best single scull for coastal rowing competitions, at the Coastal Rowing Centre, is the LiteRace 1X. It has been the boat of choice for many offshore championship medal winners. The LiteRace 1X is 6m long and weighs in at 35Kg, with riggers, to comply with FISA standards. Even though it is only 0.75m wide it is very stable in a variety of sea conditions, giving the sculler confidence in choppy waters and superb glide in calmer waters. The LiteRace 1X is self draining with the open stern, so no more bailing out. It also comes with the Liteboat removable rigger system; a simple pin release mechanism which makes transportation and storage much easier. It’s a dream to row. Contact the Coastal Rowing Centre, Studland Bay, Dorset. WHAT IS THE BEST COASTAL ROWING BOAT FOR BEGINNERS? WHAT IS THE BEST DOUBLE SCULL FOR FISA COASTAL ROWING COMPETITIONS?